This new home in Prineville, OR features the Sycamore model by Arbor Builders. Live, play and explore McKay Meadows, a location that offers hundreds of miles of open territory, surrounded by stunning mesas and beautiful badlands. 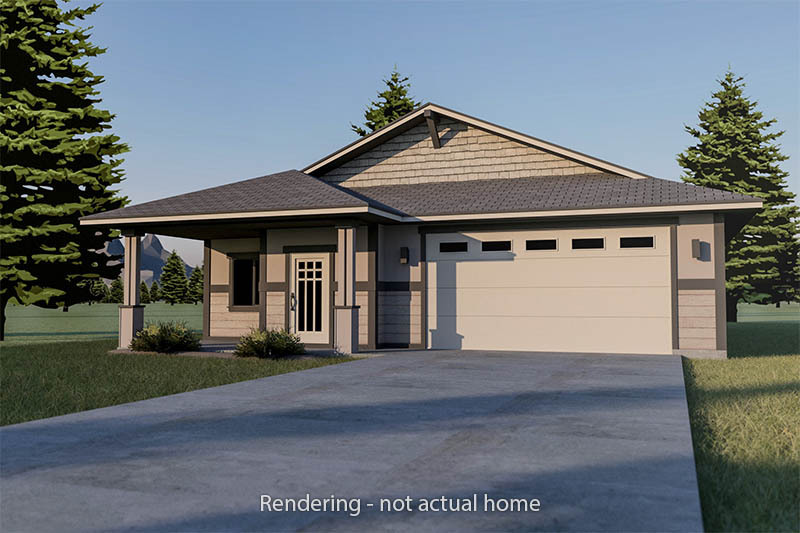 Start your journey here with new homes inspired by the freedom of the Central Oregon landscape. The home at 2598 NE Colleen Rd might look different than what you see here. Photos of a similar home, all info subject to change or vary from other sources. Travel Oregon calls Prineville a “rustic, off-the-beaten-path experience.” In Prineville, a small town in Central Oregon, you will find plenty of rugged landscape and avoid crowds in tranquil forests like the Ochoco National Forest. Explore this tight-knit community of Central Oregon at local breweries like Ochoco Brewing, golf at Meadow Lakes, or fly fish in the Crooked River. Enjoy, respectfully, the beauty of this high desert of Central Oregon. Find your new home and new adventures here in Prineville.